Do you have medical conditions that could make you uninsurable? Many separating Servicemembers have injuries or medical conditions from service that impact their health. Some of these conditions may make it difficult or even impossible for separating Servicemembers to obtain private life insurance because they are unable to meet the health requirements for the coverage. *This list is not intended to be all-inclusive and should only be used as a general guide. Only a formal underwriting review by a private insurance carrier can determine your insurability. 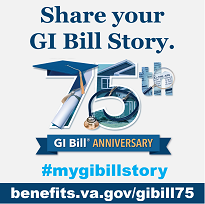 Apply for Veterans’ Group Life Insurance (VGLI) within the “240 day no health” review period. During this period, we do not consider any of your health conditions as part of the application process. Click here for more information about how to apply within the “240 day no health” review period for VGLI. Apply for a FREE extension of your Servicemembers’ Group Life Insurance (SGLI). You are eligible to apply for the two-year free extension if your disabilities prevent you from working or you have certain service-connected disabilities. Follow this link to learn more about applying for the SGLI Disability Extension. Convert your SGLI coverage to a permanent plan of insurance with one of our participating private companies. This conversion option allows you to convert all of your SGLI coverage to a permanent plan of insurance, without a health review by the private company for 120 days from separation. These policies earn cash and loan value, unlike VGLI, which is term insurance and pays only a benefit at time of death. However, remember that permanent plans of insurance typically have higher premiums at younger ages than term insurance. Follow this link to find out more about converting your SGLI coverage to a permanent plan of insurance with a private company. Apply for VGLI and to a private insurance company for additional insurance. If you believe you need more insurance than VGLI provides, a private insurance company may be able to provide additional coverage. Depending on the severity of your condition you may still be able to obtain this additional insurance. However, you may be charged a higher premium rate or be disapproved. The most important thing to remember is DO NOT wait to apply for VGLI. If you wait until after you have applied to a private company and your application is disapproved, you may already be beyond the VGLI “240 day no health” review period. This means we are obligated to consider the state of your health and could result in your being left without any insurance coverage. VA Insurance is here to provide you with life insurance options – don’t miss out on your opportunity to obtain reasonably priced term life insurance that you can keep as long as you desire - regardless of your health.